Here at Fence Builders Phoenix, we take pride in serving an amazing selection of businesses and firms. We enjoy providing all of our commercial clientele with fencing services that add irreplaceable value to their company properties. 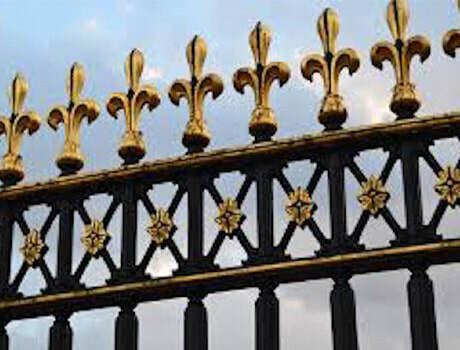 Our commercial fencing services include all of the packages available with our residential and miscellaneous catalogues – this means that we provide the same high caliber quality and precision that many have come to expect of our stellar business! We use state of the art equipment and the latest procedures to ensure that your businesses remain protected at affordable prices. 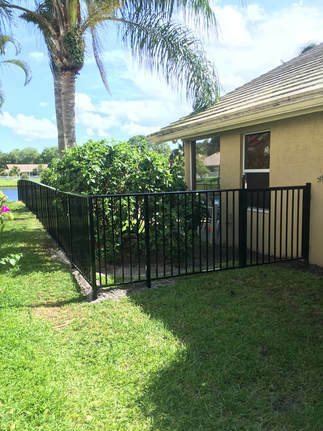 We use a wide variety of materials like wood, metal beaming, chain link, and vinyl to create the fencing products and services of your dreams. Our business offers a 100% guarantee, or your money back. Our 5-star selection begins with our commercial wood fencing. In order to make your business property pop, Fence Builders offers our commercial customers with different styles, designs, finishes, and cuts. Upon opening our online and in store catalogues, you will find fences that range from our standard stockade wooden fences to our elegant pickets. Differentiate your commercial property with a brand new maple or redwood fence with a finish that suits your location and style. Aside from our normal installations, each wooden fence comes with a repair and maintenance package that extends the longevity of your fence for at least another 5 years after purchase. Fence Builders Phoenix understands that a broken fence is a useless one – we provide the know how and experience to make sure your investment is always covered. Our most popular commercial fence installation is our chain link fencing. We use only the highest quality steel available in the country to build strong foundations that stand out from the rest of the competition in Phoenix. As with all of our installations, our processes are performed at lightning speeds to ensure that you spend less time waiting and more time enjoying your brand new chain link fence. We also provide servicing and maintenance options for those wishing to increase the life of an existing chain link fence. Our initial consultation begins with a flexible budgeting system that matches your wallet with the best options – we are proud to offer a long list of different prices and schedules that adhere to each individual inquiry. This not only adds a unique level of customization and value, but also a convenient way to plan for your new fence installation. Our long list of referred business clients prove that we know a thing or two about budgeting and cost adjustment. We believe that our biggest asset as a great fencing company is our network of local businessmen and women; therefore, we aim to provide impeccable services that never cease to amaze. So, when you’re ready to invest in a brand new commercial wood or chain-link fence, don’t hesitate to call Fence Builders Phoenix today! Our qualified lineup of customer service representatives will be right there to help answer any questions or explore potential inquiries.